Before :- Dipak Misra and Amitava Roy, JJ. Criminal Appeal Nos. 1138-1139 of 2016 (@ S.L.P. (Crl) Nos. 5928-5929 of 2016). D/d. 22.11.2016. For the Appellant :- S.R. Singh, Sr. Adv., Anurag Thomas, B. Vishwanath Bhandarkar, H.K. Naik, Karunakar Mahalik, Advocates. For the Respondent :- V.N. Raghupathy, Advocate. Dipak Misra, J. - Leave granted. of the Indian Penal Code (IPC) read with Section 3 of the Dowry Prohibition Act, 1961 (`1961 Act' for short). As the facts would unveil, the husband gets acquitted for the offence under Section 302 IPC but convicted in respect of other two charges by the trial court. In appeal, his conviction under Section 3 of the 1961 Act is annulled but success does not come in his way as regards the offence under Section 498-A IPC. And the misery does not end there since in the appeal preferred by the State, he is found guilty of the offence under Section 306 IPC and sentenced to suffer four years rigorous imprisonment and to pay a fine of L 50,000/- to be given to the father of the victim with a default clause. 3. In the course of our adumbration and analysis of facts, it will be uncurtained how the seed of suspicion grows enormously and the rumours can bring social dishonor and constrain not-so-thick skinned people who have bound themselves to limitless sorrow by thinking `it is best gift of God to man" and choose to walk on the path of deliberate death. A sad incident, and a shocking narrative, but we must say, even at the beginning, the appellant-husband has to be acquitted regard being had to the evidence brought on record and the exposition of law in the field. 4. The singular issue, as the aforesaid passage would show, that arises for consideration in these appeals, by special leave, that assails the judgment and order dated 13.04.2016 passed by the High Court of Karnataka at Bengaluru in Criminal Appeal No. 655 of 2012 whereby the High Court has allowed the appeal preferred by the State which had called in question the legal acceptability of the judgment and order passed by the learned Additional Sessions Judge, Fast Track Court-III, District Kolar, Karnataka, who vide judgment dated 5.1.2012 had found the appellant guilty of the offences punishable under Section 498-A of the IPC and Section 3 of the 1961 Act and sentenced him to suffer rigorous imprisonment of one year and two years respectively with the default clause. It is apt to note here that the appellant had also preferred Criminal Appeal No. 126 of 2012 wherein the High Court while passing the common judgment has opined that the prosecution has miserably failed to establish the conviction under the 1961 Act. However, as stated earlier, it found the appellant guilty of the offence under Section 306 IPC and the result of such conviction was imposition of four years rigorous imprisonment and fine of L 50,000/- (Rupees fifty thousand only) with the further stipulation that L 45,000/- (Rupees forty five thousand only) be paid to the father of the deceased. 5. The occurrence that led to launching of prosecution is that the marriage between the appellant and the deceased, Anjanamma, was solemenised on 12.10.1997. The appellant, as alleged, got involved with one Deepa, daughter of one Ashwathamma inasmuch as his visit to the house of Ashwathamma was quite frequent. As the prosecution story proceeds, the deceased felt extremely hurt and eventually being unable to withstand the conduct of the husband who was allegedly involved in an extra-marital affair, put an end to her life on 20th August, 2004. An FIR was lodged at the concerned police station by the father of the deceased, which set the criminal law in motion and the investigating officer recorded statement of witnesses under Section 161 of the IPC and after completing the investigation, placed the charge sheet under Sections 201, 302 and 498-A of the IPC and Section 3 of the 1961 Act before the concerned Magistrate who, in turn, committed the matter to the Court of Session. The accused abjured his guilt and expressed his intention to face trial, advancing the plea of denial and false implication. In order to establish the charges, the prosecution examined 31 witnesses in all. The defence chose not to adduce any evidence. The main witnesses are father of the deceased, PW-1 and the neighbours who have deposed about the extra- marital affair of the husband and the death of the deceased. 6. As we have already stated about the conviction and the punishment, the same need not be stated in detail. There is no dispute that the learned trial judge as well as the High Court has not found the appellant guilty of the offence punishable under Section 302 of the IPC. The High Court has also arrived at the conclusion after detailed deliberation that the prosecution has not been able to establish the offence under Section 3 of the 1961 Act. However, it has found the appellant guilty of the offence under Sections 498-A and 306 of the IPC. 7. It is submitted by Mr. S.R. Singh, learned senior counsel that the High Court has completely erred in appreciating the evidence to sustain the conviction under Section 498-A inasmuch as there is no material whatsoever with regard to demand of dowry or any kind of torture. According to Mr. Singh, the High Court has applied the second limb of Section 498-A IPC on the foundation that the involvement of the husband in extra-marital affair established cruelty under the said provision and, therefore, it would be an offence under Section 306 of the IPC which is contrary to the pronouncements of this Court. 8. Mr. V.N. Raghupathy, learned counsel appearing for the State had supported the judgment and order passed by the High Court by placing reliance on the analysis of the various facets and the scrutiny and scanning of the evidence of the prosecution witnesses including that of the father, the neighbours and the investigating officer. 9. To appreciate the submissions raised at the Bar, we have bestowed our anxious consideration and carefully examined the decision rendered by the trial court and that of the High Court. On a studied scrutiny of the evidence, it is demonstratable that the father of the deceased in his deposition has not stated anything with regard to any kind of cruelty meted out to the deceased except stating that she quite often complained to the parents about the visit of the appellant to the house of Ashwathamma and that she had suspicion against her husband that he was going to have a second marriage. The other witnesses including the investigating officer have deposed that there was discussion in the locality about the illicit connection of the appellant with one lady at Chelur Village. Barring the aforesaid, there is no whisper with regard to any kind of ill-treatment or cruel behaviour by the husband. (b) Harassment of the woman where such harassment is with a view to coercing her or any person related to her to meet any unlawful demand for any property or valuable security or is on account of failure by her or any person related to her to meet such demand"
"The basic purport of the statutory provision is to avoid 'cruelty' which stands defined by attributing a specific statutory meaning attached thereto as noticed herein before. Two specific instances have been taken note of in order to ascribe a meaning to the word 'cruelty' as is expressed by the legislatures : Whereas explanation (a) involves three specific situations viz., (i) to drive the woman to commit suicide or (ii) to cause grave injury or (iii) danger to life, limb or health, both mental and physical, and thus involving a physical torture or atrocity, in explanation (b) there is absence of physical injury but the legislature thought it fit to include only coercive harassment which obviously as the legislative intent expressed is equally heinous to match the physical injury : whereas one is patent, the other one is latent but equally serious in terms of the provisions of the statute since the same would also embrance the attributes of 'cruelty' in terms of Section 498-A." "Clause (a) of the Explanation to the aforesaid provision defines "cruelty" to mean "any wilful conduct which is of such a nature as is likely to drive the woman to commit suicide". Clause (b) of the Explanation pertains to unlawful demand. Clause (a) can take in its ambit mental cruelty." 13. The aforesaid analysis of the provision clearly spells how coercive harassment can have the attributes of cruelty that would meet the criterion as conceived of under Section 498-A of the IPC. Thus, the emphasis is on any wilful conduct which is of such a nature that is likely to drive the woman to commit suicide. The mental cruelty which is engraved in the first limb of Section 498-A of the IPC has nothing to do with the demand of dowry. It is associated with mental cruelty that can drive a woman to commit suicide and dependent upon the conduct of the person concerned. "Section 306 refers to abetment of suicide which says that if any person commits suicide, whoever abets the commission of such suicide, shall be punished with imprisonment for a term which may extend to 10 years and shall also be liable to fine. The action for committing suicide is also on account of mental disturbance caused by mental and physical cruelty. To constitute an offence under Section 306, the prosecution has to establish that a person has committed suicide and the suicide was abetted by the accused. The Prosecution has to establish beyond reasonable doubt that the deceased committed suicide and the accused abetted the commission of suicide. But for the alleged extra marital relationship, which if proved, could be illegal and immoral, nothing has been brought out by the prosecution to show that the accused had provoked, incited or induced the wife to commit suicide." "True it is, there is some evidence about the illicit relationship and even if the same is proven, we are of the considered opinion that cruelty, as envisaged under the first limb of Section 498A IPC would not get attracted. It would be difficult to hold that the mental cruelty was of such a degree that it would drive the wife to commit suicide. Mere extra-marital relationship, even if proved, would be illegal and immoral, as has been said in Pinakin Mahipatray Rawal (supra), but it would take a different character if the prosecution brings some evidence on record to show that the accused had conducted in such a manner to drive the wife to commit suicide. In the instant case, the accused may have been involved in an illicit relationship with the appellant no.4, but in the absence of some other acceptable evidence on record that can establish such high degree of mental cruelty, the Explanation to Section 498-A which includes cruelty to drive a woman to commit suicide, would not be attracted." 16. The concept of mental cruelty depends upon the milieu and the strata from which the persons come from and definitely has an individualistic perception regard being had to one's endurance and sensitivity. It is difficult to generalize but certainly it can be appreciated in a set of established facts. Extra-marital relationship, per se, or as such would not come within the ambit of Section 498-A IPC. It would be an illegal or immoral act, but other ingredients are to be brought home so that it would constitute a criminal offence. There is no denial of the fact that the cruelty need not be physical but a mental torture or abnormal behaviour that amounts to cruelty or harassment in a given case. It will depend upon the facts of the said case. To explicate, solely because the husband is involved in an extra-marital relationship and there is some suspicion in the mind of wife, that cannot be regarded as mental cruelty which would attract mental cruelty for satisfying the ingredients of Section 306 IPC. "Criminal law amendment and the rule of procedure was necessitated so as to meet the social challenge of saving the married woman from being ill-treated or forcing to commit suicide by the husband or his relatives, demanding dowry. 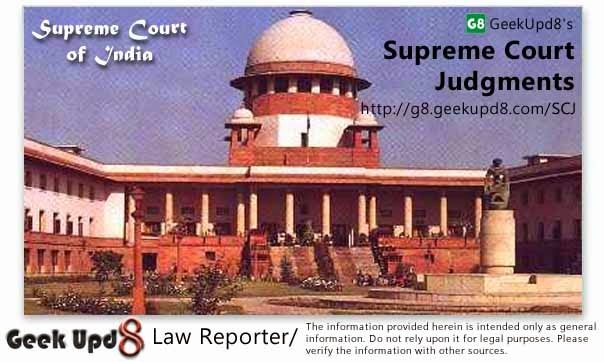 Legislative mandate of the section is that when a woman commits suicide within seven years of her marriage and it is shown that her husband or any relative of her husband had subjected her to cruelty as per the terms defined in Section 498-A IPC, the court may presume having regard to all other circumstances of the case that such suicide has been abetted by the husband or such person. Though a presumption could be drawn, the burden of proof of showing that such an offence has been committed by the accused under Section 498-A IPC is on the prosecution." We have reproduced the aforesaid passage only to highlight that the Court can take aid of the principles of the statutory presumption. 18. In the instant case, as the evidence would limpidly show, the wife developed a sense of suspicion that her husband was going to the house of Ashwathamma in Village Chelur where he got involved with Deepa, the daughter of Ashwathamma. It has come on record through various witnesses that the people talked in the locality with regard to the involvement of the appellant with Deepa. It needs to be noted that Deepa, being not able to digest the humiliation, committed suicide. The mother and the brother of Deepa paved the same path. In such a situation, it is extremely difficult to hold that the prosecution has established the charge under Section 498A and the fact that the said cruelty induced the wife to commit suicide. It is manifest that the wife was guided by the rumour that aggravated her suspicion which has no boundary. The seed of suspicion planted in mind brought the eventual tragedy. But such an event will not constitute the offence or establish the guilt of the accused-appellant under Section 306 of the IPC. 19. Having said that we intend to make it clear that if the husband gets involved in an extra-marital affair that may not in all circumstances invite conviction under Section 306 of the IPC but definitely that can be a ground for divorce or other reliefs in a matrimonial dispute under other enactments. And we so clarify. 20. Consequently, the appeals are allowed. The conviction under Sections 306 and 498-A of the IPC is set aside. The appellant be set at liberty unless his detention is required in connection with any other case.